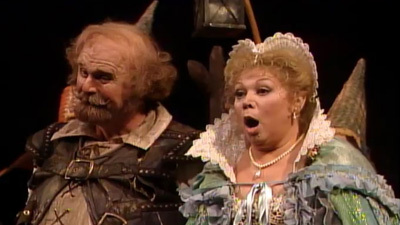 Verdi’s comic and final opera requires two things: a great baritone and a superb conductor, and in this performance we have both in Cornell MacNeil and James Levine. 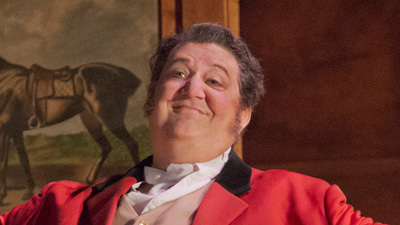 MacNeil’s huge booming voice and down-to-earth acting style gives dignity to Falstaff’s bluster, while Levine masterfully draws out all the sparkle and color in the orchestra. Rounding out the cast are Evelyn Lear as Alice Ford, Thomas Stewart as Ford, and Fedora Barbieri as Dame Quickly.